Chiang Mai is an amazing place to visit, for their deep historical culture, great monuments and brilliant cuisine. Full of places to visit, foods to try, culture to see and landmarks and views that will make your jaw drop. This is all a great way to spend your holiday and enjoy an experience of a life time, but occasionally when travelling you want a break from the local cuisine. Chiang Mai is a growing, flourishing, city and tourist hot-spot, always changing and developing to bring it’s locals and visitors everything they want. What is it that you want most from back home, Pizza? Well look no further, there are plenty of restaurants who have included great pizzas into their menus, here are some of the best. As well as offering and amazing roof-top bar with a great view, akyra Manor Chiang Mai Hotel is home to Italics, an amazingly diverse Italian Menu to choose from. Italics source local, great quality ingredients with which they make into brilliant Italian dishes. If you’re craving the tastes of home this is the place to come, with a choice of local and Italian food, re-imagined and classic Italian dishes for you to choose from. Italics go to great length to create an authentic Italian pizza, using a wood fired Pizza Oven, they seal in that rustic Italian taste of a great quality, great tasting pizza, while you are away. With a great selection of pizzas, you are sure to find your favourites from home and it might even be the best pizza you’ve tasted. If you are looking for somewhere to pop in and grab some great pizza, this is the place to go. The restaurant has no inside, just the kitchen, all seating is outside, with some cover, but don’t let that put you off. Street Pizza work to deliver consistently great food. With a great choice of wines to pick from and generous servings, you can enjoy a nice bottle as you pick from their choice of pizzas. The restaurant is styled to have a European feel to it, to make you feel back at home as you choose from a menu of home favourites. With friendly staff and a great variety of choice of pizzas, you can take a nice break from the new cuisines and enjoy the authentic Italian pizzas they serve. Get a truly Italian feel when you go to the Pulcinella Da Stefano. The restaurant is owned and run by an Italian Chief who has worked to ensure that his customers get the genuine Italian experience while holidaying away in Chiang Mai. For authentic Italian food is great sized portions you can indulge any pizza or pasta cravings that have been building up on your holiday. All indoor with air conditioning, you’ll feel like you stepped into a restaurant in Italy for the evening. 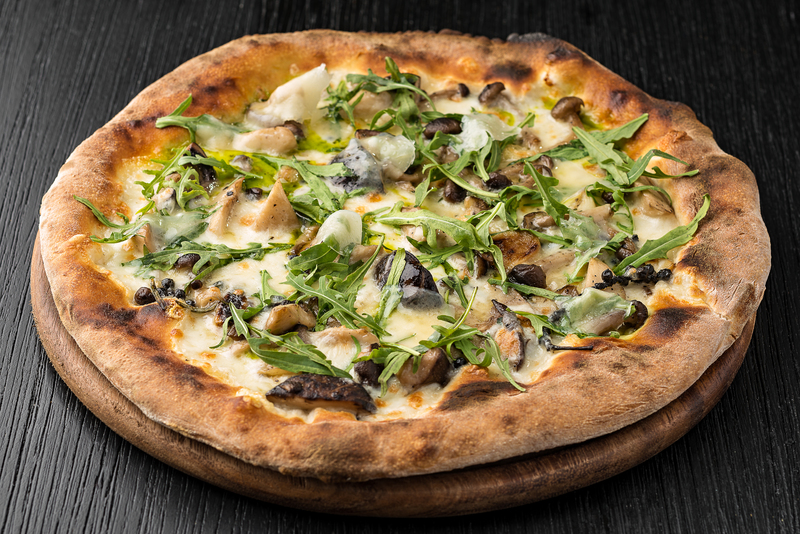 Having been in business for many years, they really know how to make a great pizza, with a great amount of choice of Italian dishes, including many pizzas and wines, you can take an evening ‘away’ in Italy. If you’re looking for somewhere to get your pizza fix, this could be the place to go. An American owned restaurant in Chiang Mai, the owner is determined to serve great quality dishes and give you the best service. There is absolutely no Thai food on the menu, offering American-Style food. All their ingredients are locally sourced, except the beef they import from Australia, and all food is cooked to order, freshly made. Having been open since 2006, they know what they are doing and deliver great tasting pizza from a stone oven. If after a few days of trying new foods and indulging the local cuisine, you decide that you miss the taste of pizza, or just fancy ordering something you know you’ll enjoy, why not give one of these great pizza restaurants a try, take a break from new experiences and enjoy something you know you’ll love.